Subtle, simple, sophisticated and elegant. 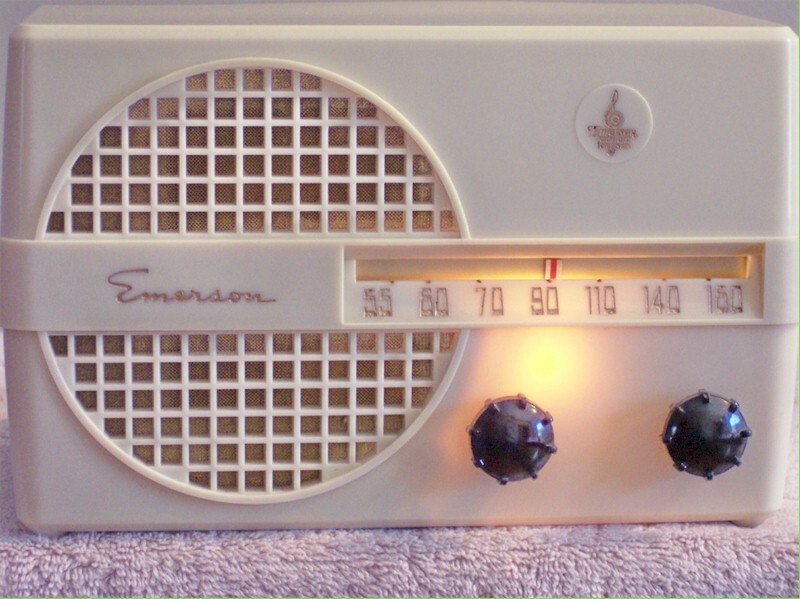 This mint Emerson Plaskon radio has its original tubes and tube layout on the inside top of cabinet all places. The back is like new. Plays great and so does the dial light that lends a romantic accent. New capacitors, of course, and a couple of new resistors. If you'd like additional pics please let me know. Relatively small in stature at 9"W x 6"H x 5"D.
You are visitor number 3,323 to this page.